Workplace wellness is an extremely important, yet often overlooked, part of a healthy, successful work team. As nutrition professionals with a wealth of workplace wellness knowledge, how do we get employers to believe in and purchase our wellness programs? Join us as we welcome presenter Sylvia Doss for How to Propose a Workplace Wellness Program that Clients Purchase, now available to review in the Hawthorn Webinar Archives. • Creating a framework for the perfect proposal. Sylvia Doss is a workplace wellness expert and strategic advisor with over 15 years experience designing and implementing innovative health and wellness solutions for companies. She has delivered successful programs that focus on engaging employees in both preventive and chronic condition management, resulting in both employees and employers experiencing the positive productivity and cost improvements that result from engaged, healthy, and happy employees. Her experience includes working with various sized companies, from small to global corporations, and developing solutions for employees who work on site, at home, and internationally. She believes that wellness is the cornerstone to achieving our life goals. As a result of her philosophy and personal experience working within corporations, she founded Open Circles, to provide effective solutions attractive to workplaces and individual consumers. Sylvia teaches corporate employee benefits strategy to human resource professionals at Golden Gate University (San Francisco). 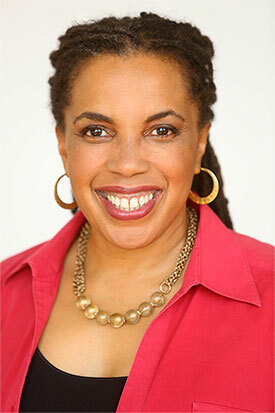 She is certified as a holistic nutritionist (Bauman College) and regularly leads spin and exercise classes. Connect with her on LinkedIn at https://www.linkedin.com/in/sylviadoss/.